If you need help understanding the property licensing rules in Barnet you have come to the right place! We are experts in housing regulation and have produced this free guide to help you understand the council’s property licensing schemes. To help set the scene, the London Borough of Barnet is in North London covering an area of 33 square miles. It is bordered by the boroughs of Harrow and Brent to the west, Camden to the south and Haringey and Enfield to the east. According to the 2011 Census, about 26% of the housing stock was privately rented which is marginally above the London average of 25% (1 in 4). You do not need a licence if you rent your property to a single family as Barnet Council do not operate a selective licensing scheme. However, if you rent out a flat in a converted building, you should also check the additional licensing schemes below as some buildings containing flats do need to be licensed. If you rent your property as a House in Multiple Occupation (HMO), the answer is more complicated. Barnet Council started an additional licensing scheme on 5 July 2016, plus there is the mandatory HMO licensing scheme that applies throughout England. The additional licensing scheme started on 5 July 2016 and will continue until 4 July 2021, unless the council chose to implement a replacement scheme. Any HMO of two or more storeys, occupied by four or more persons in two or more households and where some or all facilities are shared or missing. Any flat occupied by four or more persons in two or more households and where some or all facilities are shared or missing, where the flat is on the second storey or higher. Any HMO of two or more storeys, with a resident owner and occupied by four or more other persons in two or more households and where some or all facilities are shared or missing. Any house of two or more storeys comprised of both self-contained and non­ self-contained units of accommodation occupied in aggregate by four or more persons in two or more households (not including a resident owner), some of whom share or lack one or more basic amenities such as a bathroom, toilet or cooking facilities. less than two thirds of the flats are owner occupied. Rather than including all section 257 HMOs, the council have only included ones that comprise three or more storeys and have been converted into and consist of four or more self-contained flats and where both the building and self-contained flats it contains are owned by the same person (none of the individual flats within the building being under separate ownership). This is one of the more complicated set of licensing criteria we have seen! You might need to read this section several times and study the scheme designation in the ‘More Information’ box on the right of this webpage, to make sure you understand what it means. The same fee structure applies to both mandatory HMO and additional licensing. They charge a standard fee of £1,202 (was £1,008 in 2016/17, £989 in 2015/16 and £985 in 2014/15) for a property with up to five units of accommodation, plus an extra £26 for each unit of accommodation above five. Barnet Council have recently introduced a 10% discount for accredited landlords, which we think is a good idea. The fees we’ve listed are correct as of March 2019 but could be subject to change in the future. You can view the fees in full on the council’s website. Unfortunately, there is no online application system – it’s a bit old fashioned! Instead, you can download the application form from the council's website, print it out and complete by hand. Once you click on the link, you will need to scroll down to the bottom of the page to find the form. Alternatively, you can contact Barnet Council and ask them to send you an application pack in the post. Once you’ve completed the application, you have to send it back to the council together with various supporting documents, so make sure you have got all your paperwork ready. If you need assistance with your licence application, we can help you! We offer a unique hassle-free, one-stop-shop service to handle your licence application from start to finish and all for a fixed fee. As part of the service, we carry out an inspection of your property and provide expert advice on compliance. You can find out more about our licence application handling service here. Yes, Barnet Council has adopted HMO standards which all licensed HMOs must comply with. The council have also published a separate guide to fire safety in HMOs. You can download copies from the council's website. Once you have clicked on the link, you will need to scroll down to the bottom of the page. In January 2015, Barnet Council told us they had licensed 145 HMOs and by February 2016 that number had risen to 183. When we checked in June 2017 there were 436 licensed HMOs and in July 2018, there were 468 licensed HMOs in the public register. Every council must have a public register of licensed HMOs that is regularly updated and you can view the register on the council’s website. Barnet Council think there are 5,931 HMOs within the borough and that 3,836 of them will need to be licensed under the mandatory HMO and additional licensing schemes. As of July 2018, this indicates the council have only licensed about 12% of the expected number of HMOs over 2 years after the additional licensing scheme started. They clearly have plenty of work outstanding! If you are the landlord of a licensable HMO, you should apply now to avoid facing the consequences of non-compliance. Barnet Council took eight housing prosecutions over the five years from April 2011 to March 2016, so an average of just over one prosecution a year. The council did not obtain any Rent Repayment Orders from the landlords of unlicensed HMOs over the four years from April 2011 to March 2015, but one was obtained in 2015/16. The landlord of a property in Golders Green was ordered to repay £15,778.56 to their tenants. That’s a considerable sum and shows the importance of getting your property licensed at the earliest opportunity! Whilst we don’t have any figures for the NLA or RLA schemes, we have got information about the London Landlord Accreditation Scheme that is supported by all the London Boroughs. In January 2016, they told us there were 580 accredited landlords in Barnet, which was above average when compared to all the London boroughs. By January 2018, that figure had increased to 788 and by January 2019, that figure had increased to 989, which is well above average when compared to all the London boroughs. To find out more about becoming accredited, you can visit the London Landlord Accreditation Scheme website here. An additional licensing scheme has been operating since 5 July 2016 and the council are at early stages of considering plans to implement a selective licensing scheme. On 2 February 2015, Barnet Council’s Housing Committee decided to consult on a borough wide additional licensing scheme covering about 5,000 HMOs. The council believed that there was evidence to indicate that a significant proportion of HMO’s in Barnet were being managed inadequately and the housing conditions could be improved. The proposal was subject to public consultation from 25 June to 23 October 2015. On 1 February 2016, a report was presented to the council’s Housing Committee proposing the introduction of an additional licensing scheme (read here - see agenda item 7). The report was unanimously supported and the new licensing scheme came into force on 5 July 2016. Meanwhile, on 14 January 2019, a report was presented to the council’s Housing Committee setting out proposals to introduce a selective licensing scheme (read here – see agenda item 8). The plans are still at a very early stage, with proposals to recruit a project officer to explore the idea further. There is clearly a lot happening in Barnet so we will monitor the situation closely and keep you posted. On 28 May 2015, Barnet Council made a borough-wide Article 4 Direction that removes the permitted development rights to change a property from use class C3 to use class C4 without planning permission. You can download a copy of the Article 4 Direction from the ‘More Information’ box on the right of this page. Barnet Council consulted on the Article 4 Direction from 28 May to 30 August 2015 (read here). The Article 4 Direction came into force on 29 May 2016 after being confirmed at Barnet Council’s Planning Committee meeting on 23 May (read here – see agenda item 11). The effect of the Article 4 Direction is to require planning permission to change the use from a single-family property (C3) to an HMO with up to six occupants (class C4). So even letting your property to three people who are not all related could require planning permission. More information is available on the council’s website. We have prepared some general advice on HMO Article 4 Directions that you may find useful, available here. 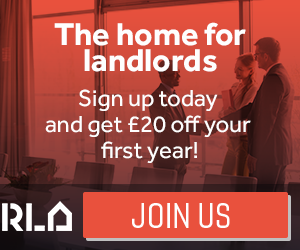 Whether you a looking for a letting agent, want a property inventory for a new tenancy, or fire risk assessment, we have got it covered – and far more besides! No selective licensing in Barnet but the mandatory HMO and additional licensing schemes apply borough wide.